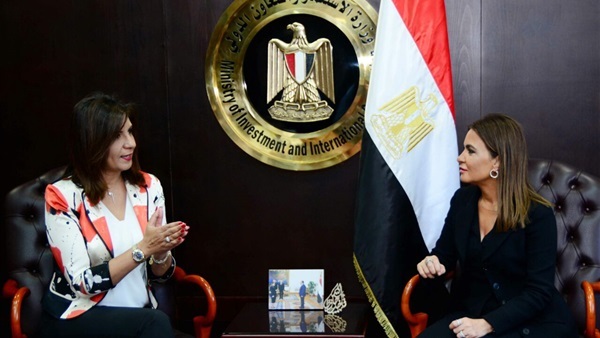 Minister of Investment and International Cooperation Sahar Nasr and Minister of Immigration and Egyptian Expatriates Affairs Nabila Makram agreed that the theme of the the 5th "Egypt Can" conference in 2019 will be investment. Both ministers discussed cooperation between both ministries to urge the Egyptian investors abroad to partake in the event. They also addressed inviting the investors and entrepreneurs to invest especially in the fields of tourism, industry, agriculture and real estate, according to a statement of the Ministry of Investment and International Cooperation. Nasr asserted the importance of cooperation between both ministries to promote investment. Organizing this conference comes within the framework of efforts exerted to contribute to development and attracting more investments to Egypt, Nasr added. Meanwhile, Makram asserted that "Egypt Can" series of conferences achieved major targets. The conference will tackle the successful experiences of the Egyptian investors abroad, Makram added. The conference comes as part of a series of conferences that aim at linking the Egyptians abroad to their country.